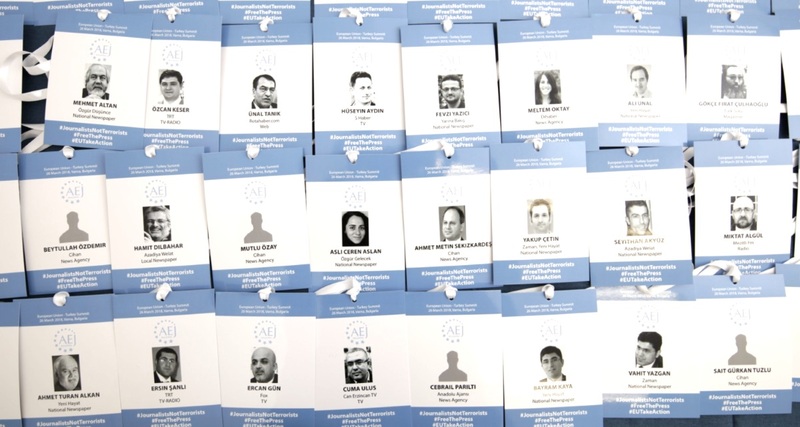 The Association of European Journalists – Bulgaria, AEJ, has launched a campaign to grant symbolic press badges to 95 jailed Turkish reporters in time for the planned EU-Turkey summit in Varna on 26 March. “Our message to politicians is clear: journalists are not terrorists and cannot be treated as such because of their work. Even if you put critical reporters behind bars, you won’t stop hearing them – others will speak with their voice,” it said. “They should have been there to do their job – asking politicians questions and keeping them responsible for the duties they have before society,” the AEJ added, showcasing the badges to reporters in their Sofia office. The organization said all of their colleagues under arrest for their work in Turkey should be released immediately. In addition, they say the European Union ought not stay silent on the matter and should put the question of the jailed reporters on the agenda at Varna. Turkey has become the country with the most jailed journalists in the world, ahead of authoritarian China and Egypt, according to the Committee to Protect Journalists. According to different organizations, there are between 135 and 245 arrested and jailed reporters in Turkey. AEJ – Bulgaria clarified that it had made press badges for the 95 reporters who are listed in four lists compiled by the Swedish-based Stockholm Center for Freedom, the Turkish Platform for Solidarity with the Journalists in Custody, the Union of Turkish Journalists and the Association of Progressive Journalists. Since the failed coup d’état of July 2016, the government of Recep Tayyip Erdogan has cracked down on media freedom, accusing reporters of espionage and of other activities that undermine the national security of Turkey. On 16 February, a Turkish court sentenced six people, including the columnist and author of a book describing the Armenian genocide, Ahmet Altan, to life in prison for sending “subliminal messages” over the media, encouraging the coup planners. The UN High Commissioner for Human Rights published a report on Tuesday condemning the emergency decrees introduced in post-coup Turkey. The report says they “foster impunity and lack accountability” and notes “continued allegations… confirming patterns of human rights violations” in Turkey between July 2015 and March 2017. 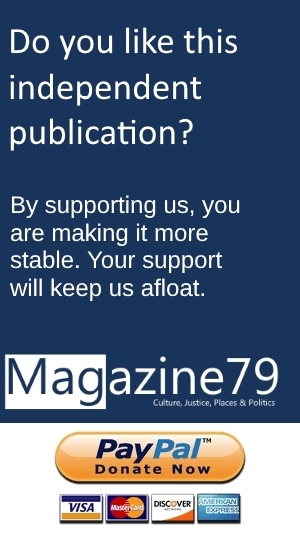 Please continue reading this article at Balkan Insight, its original location.